DISCLAIMER: The information or advice in this column should not be substituted for professional counseling. The thoughts expressed in the “Ask Terry” segment of the Relationships-411 blog are the thoughts and opinions of the writer and should be viewed as information and entertainment only. By submitting a question to the column you are hereby granting us permission to publish your question on this blog. 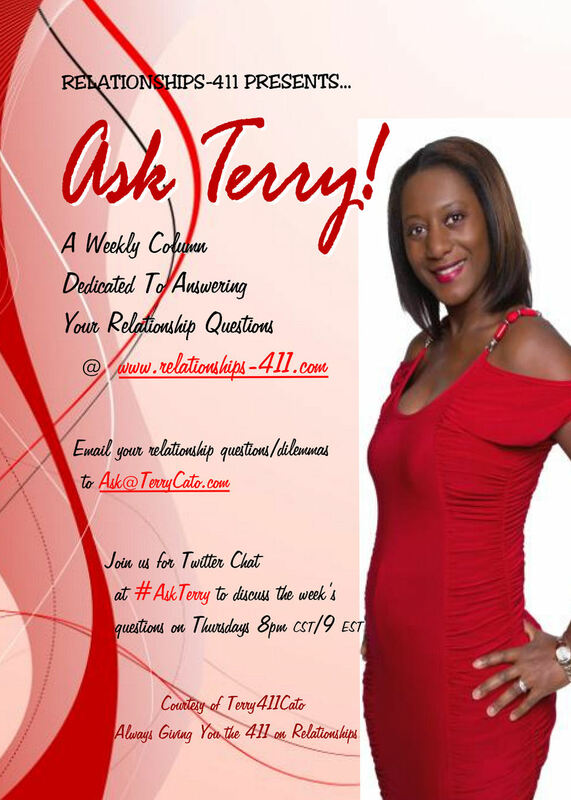 Feel free to submit your question/relationship dilemma to ask@terrycato.com for a chance to be featured as one of the questions of the week.